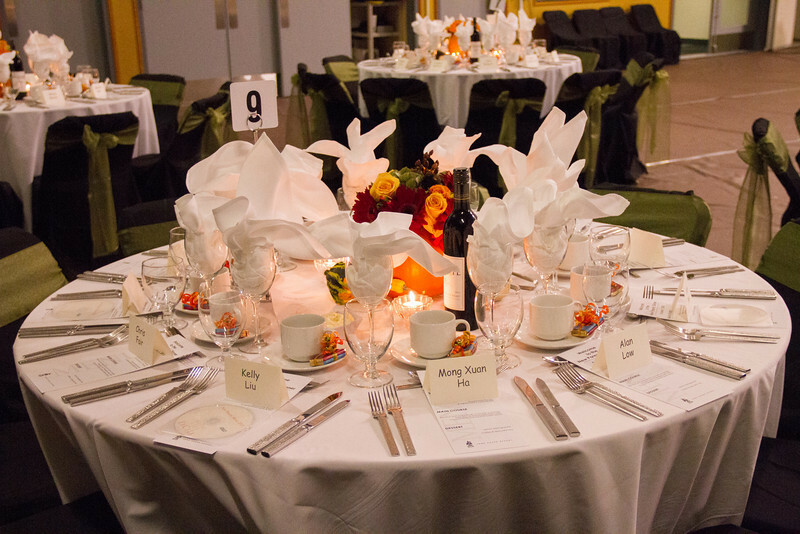 On Tuesday, October 1st, the Rand Gymnasium was transformed for the New Parents Dinner. The Annual New Parents Dinner is our way of rolling out the welcome mat to new parents. 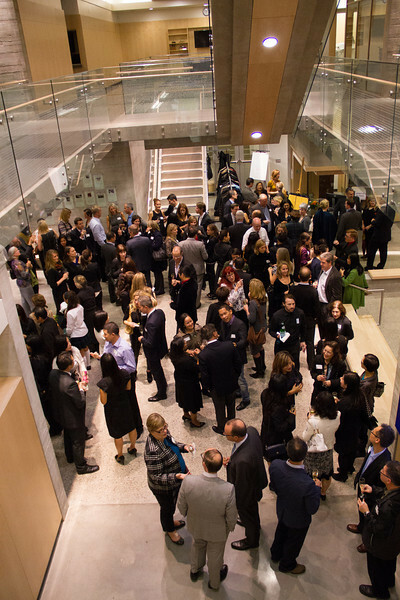 The evening began with a champagne reception in the atrium of the new Senior Building, followed by a sit-down dinner in the gym. 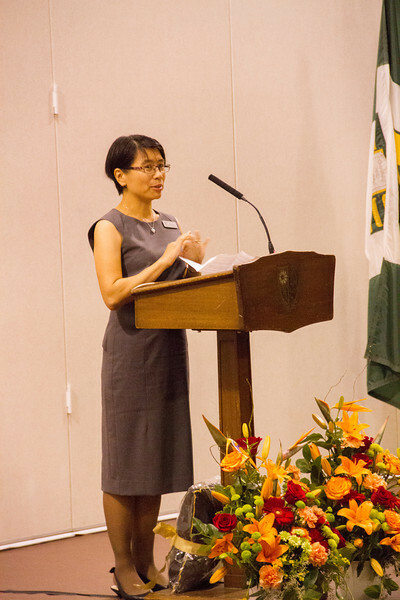 Agnes Finan, Chair of the New Parents Committee, welcomes guests at the New Parents Dinner. Agnes Finan, Chair of the New Parents Welcome Committee, began the dinner portion of the evening by welcoming the 145 guests. 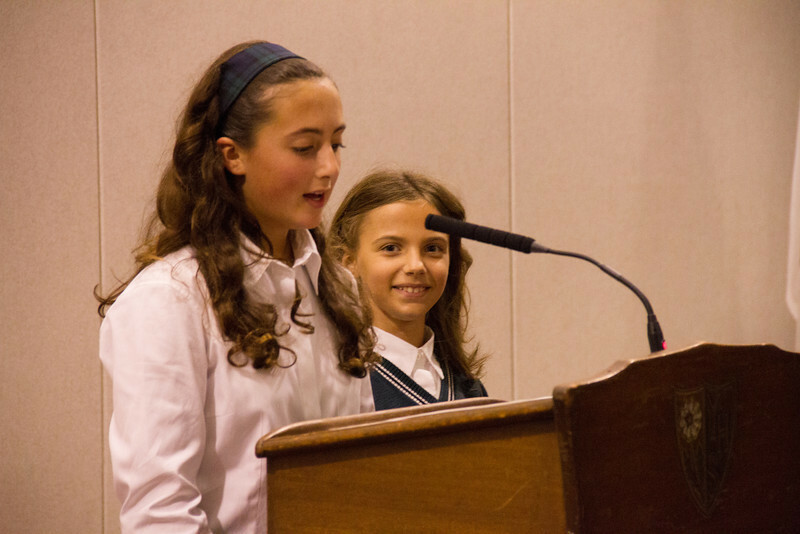 Our Jr. Head Girl Pepi and Jr. Vice-Head Girl Hannah welcomed parents to the community. Head Girl Laura, who is a “lifer”, commented on her experiences as a Yorkie. 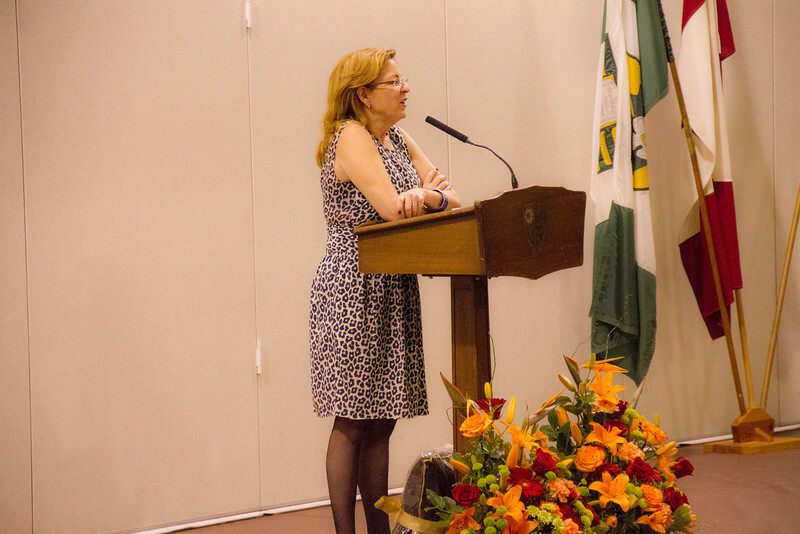 Stellu Du, President of the Parents’ Association, spoke about ways to get involved supporting the School. 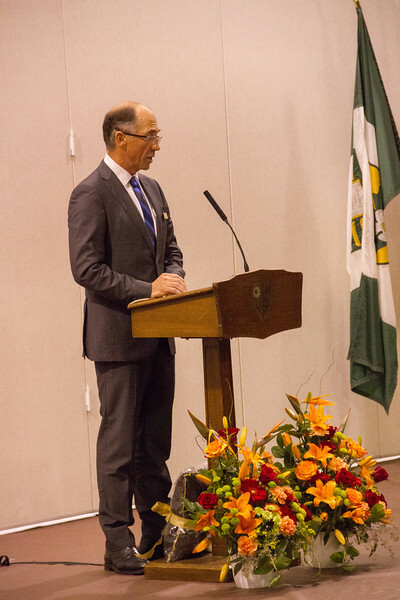 After the plates were cleared following the delicious three-course dinner, John Gjervan, Chair of the Board, spoke about his experiences at York House. Laura Edwards, Executive Director, Advancement, introduced a special video featuring all the new girls in their first days at the school. Each new family received a copy to take home, a fitting keepsake of their first event as members of the York House community. 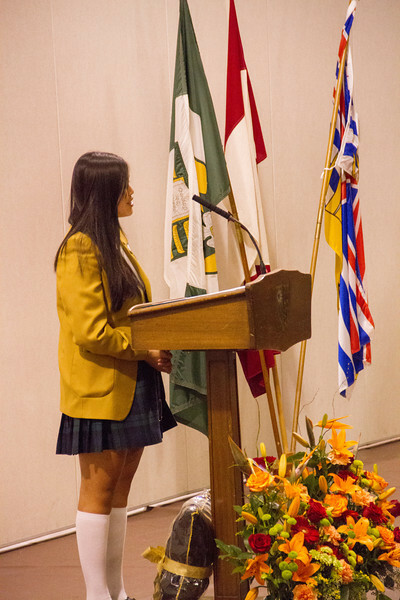 Organized by Gillian Smith, our new Grade 8s did a wonderful job serving throughout the evening. Special thanks go to Agnes Finan and her Committee for organizing such a special evening, and to Gillian Smith who organized our new Grade 8s — they did a wonderful job serving throughout the evening. They were pros! See all the photos from the New Parents Dinner.